Headstone stone maker: Murphy Gorey. 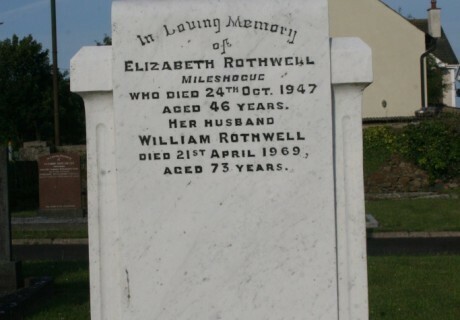 In loving memory of Elizabeth Rothwell Mileshogue who died 24th Oct. 1947 aged 46 years. 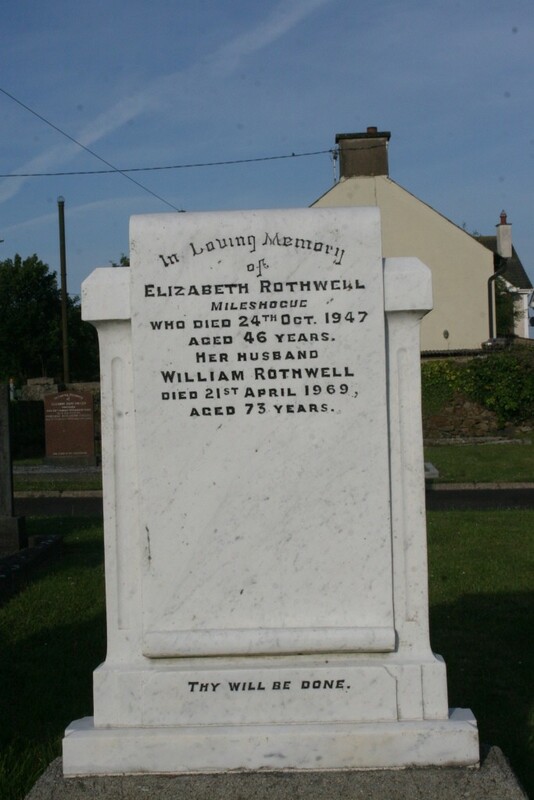 Her husband William Rothwell died 21st April 1969 aged 73 years.